On-site parking available. Contact the hotel for details. 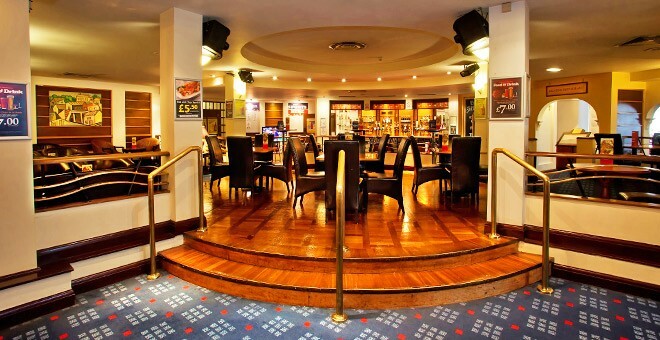 The Britannia Airport Hotel is situated in Northenden and is in the perfect location for leisure and business guests. 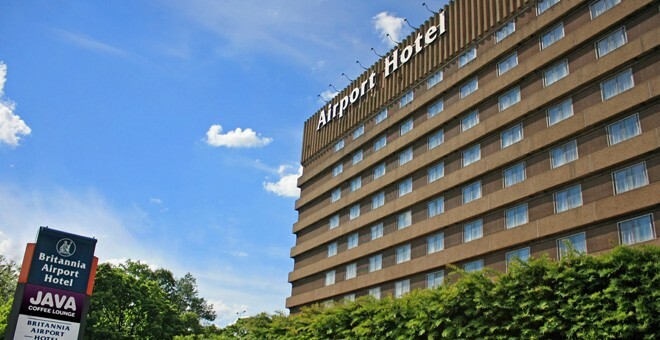 Being only 3 miles away from Manchester Airport, the hotel is ideal for travellers looking for affordable hotels in Manchester. Location is everything, and this Manchester airport hotel will not disappoint! The Britannia Airport Hotel has everything all within a stone’s throw away. Manchester Airport is 5 minutes’ away, making it the perfect place to stay the night before your flight. If you’re a keen golfer and fancy having a few rounds, the hotel is near not just one but three golf courses, perfect for a long weekend away! Or perhaps shopping is the reason for your trip. Shopping centres, such as the Trafford Centre, The Lowry and Manchester city centre, are all within 7 miles of the hotel. 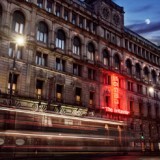 Manchester is home to two of the UK’s biggest football teams, and the hotel is less than 20 minutes’ away from the Etihad Stadium and Old Trafford. This is ideal for away fans who need affordable overnight accommodation. Maybe you’re in need of a fun-filled family day out, Trafford has some great attractions to keep the whole family entertained, from LEGOLAND, the Sea Life Centre, adventure golf, the ski slopes at the Chill Factore, skydiving and the trampoline park. Going to a live event at the Manchester Arena? Take the hassle away of driving home and stay at the hotel, which is only 7.4 miles away. 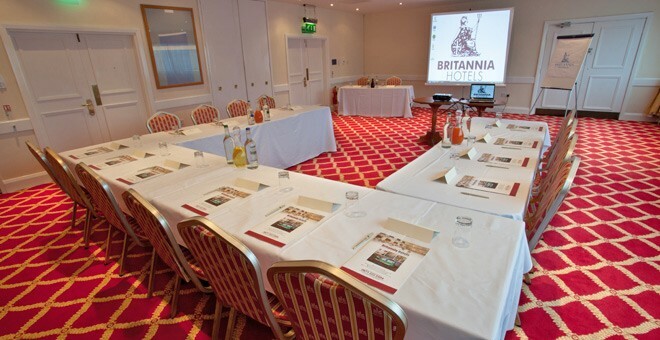 Britannia Hotels prides itself in providing comfortable, affordable accommodation and the Britannia Airport Hotel is no exception. 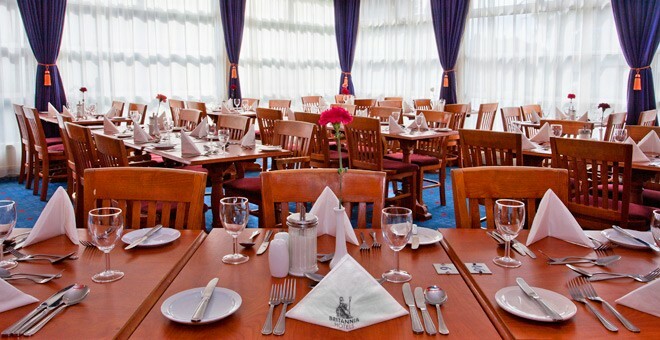 The hotel has its own restaurant set in a relaxing atmosphere, which serves a full English breakfast each morning and in the evenings re-opens to serve dinner. 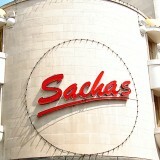 The hotel has a bar for guests to enjoy a quiet drink, free on-site parking, Wi-Fi and a 24-hour reception desk. 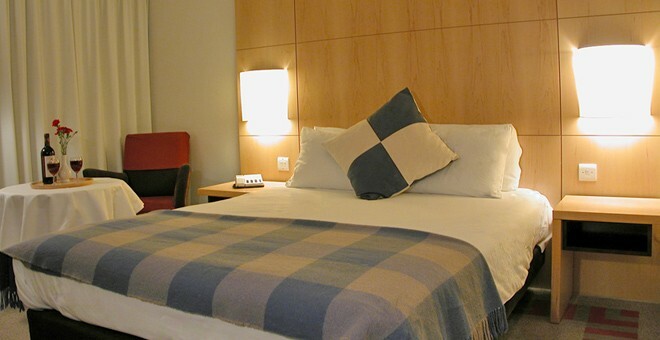 The spacious bedrooms have an en-suite bathroom, tea and coffee making facilities, TV, telephone and hairdryer. 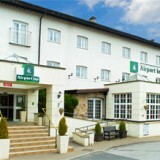 The Britannia Airport Hotel is ideally located, providing you with easy access to the motorway networks. 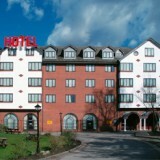 The hotel is right next to the M56 and M60 and provides free on-site parking for guests. 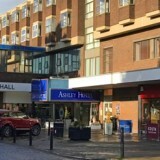 If you’re a commuter and rely on public transport, the hotel is a short 2 miles away from Gatley Train Station and bus stops are positioned just outside the hotel on Palatine Road. Trams are perfect to quickly commute across the city and the hotel is only 1.4 miles away from Wythenshawe Park Metrolink. Public transport makes travelling around Manchester so easy, with direct links to Manchester city centre, The Trafford Centre, the Etihad and Old Trafford, Media City and Manchester Airport.